Motorsport Ireland Young Rally Driver of the Year, Callum Devine, is in the final stages of preparation for the closing round of the 2018 Junior World Rally Championship (JWRC), Rally Turkey Marmaris. The round is a new addition to the 2018 series and the rugged, rock strewn roads will provide one of toughest challenges of the championship. Turkey is the culmination of a trailblazing season for the 24 year old Derry driver as he made his top flight debut. His season to date has seen him tackle events in Sweden, Corsica, Portugal and Finland and results have left Callum in 7th place in the JWRC heading into the season finale. Despite a non-finish round 3 in Portugal, he still, remarkably has an outside chance of the title. “Mathematically, we actually still have a shot at the title here in Turkey this weekend as there is double points on offer, but even if we were to do all that was asked of us, we would still need others not to finish. To be honest, the long shot at the title is the farthest thing from my mind. This is going to a very demanding rally and going flat out here is not really an option. The stages are quite rough already so I can only imagine what they will be like after a few passes. Car and tyre management will play a big factor here, at times it may be more surviving than driving, but that’s all part of the challenge at this level” said Callum ahead of the event. Callum will once again be joined by co-driver Brian Hoy and the pair are happy with their pre event reconnaissance which will now require a few evenings looking over camera footage of the stages to fine tune their pacenotes. The prize for the lucky JWRC winner, who will be crowned this weekend, will be a R5 Ford Fiesta along with support to tackle WRC2 rounds in 2019. This year’s championship has witnessed some close-fought rallying and the competition could not be tighter with 8 drivers in with a shot of the title. 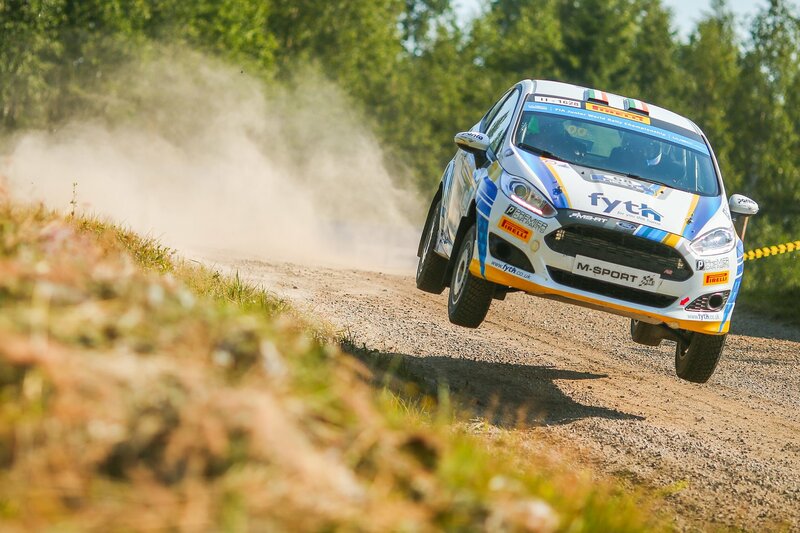 The drivers are equipped with identical 1 litre EcoBoost Ford Fiesta R2s, Pirelli tyres and Panta fuel. While Turkey has hosted a round of the FIA World Rally Championship before, the championship has never visited this region and absolutely everything is new. Rally Turkey Marmaris takes place between the 13th-16th of September and a short spectator stage getting proceedings underway on Thursday evening. Friday sees the rally start in earnest with 3 stages repeated twice meaning that leg 1 will be longest of the event at 147 competitive kilometres. Saturday follows the same format while the closing leg of the rally on Sunday is made up of 4 tests, a pair of new stages run once each and the Marmaris stage which will run twice and conclude the rally. To keep up to date with Callum throughout the weekend and follow him on Facebook, Twitter and Instagram.